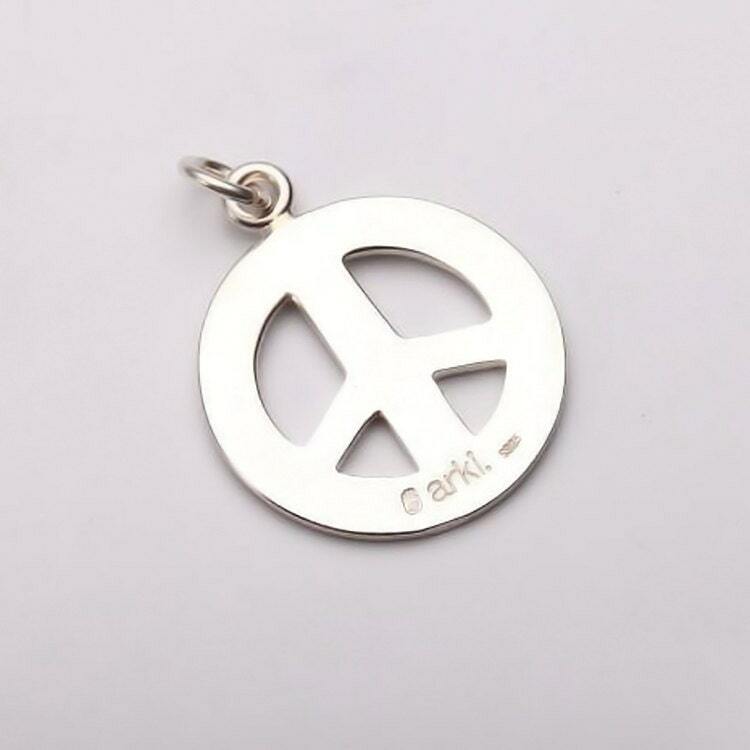 The peace sign pendant is a tribute to one of the most iconic symbols in the pop culture - the four pronged peace sign. 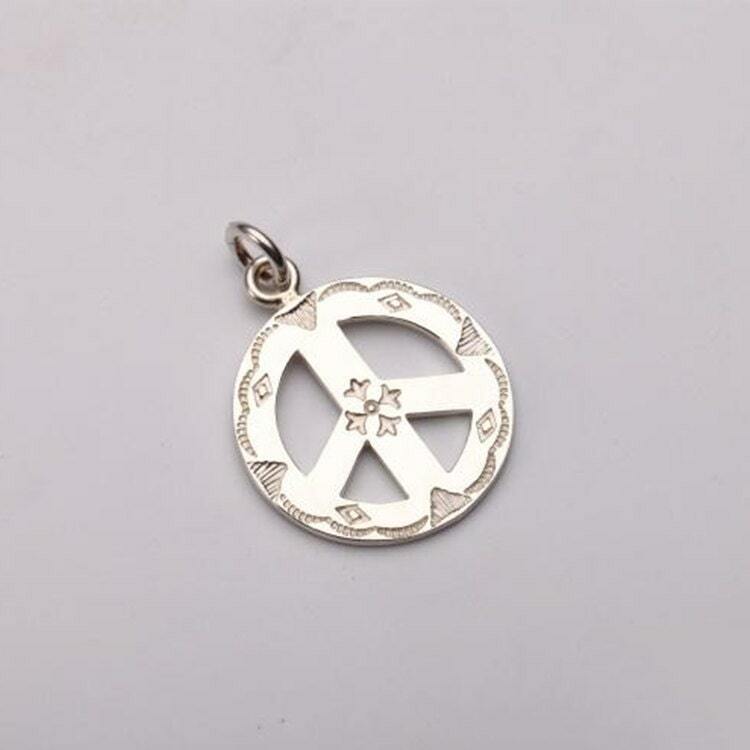 A silver peace symbol - decorated with subtle engraved patterns. Two different patterns - thunderbolt and snowflake - for two different pendants. 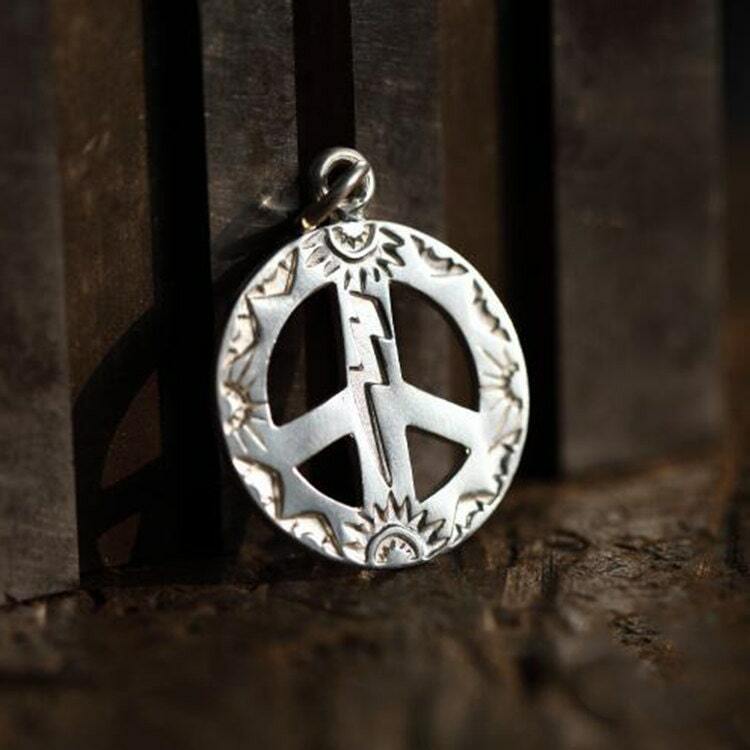 Revel in the hippie style charm, make a simple statement - Give Peace a Chance, let us bless the world with Eternal Peace. 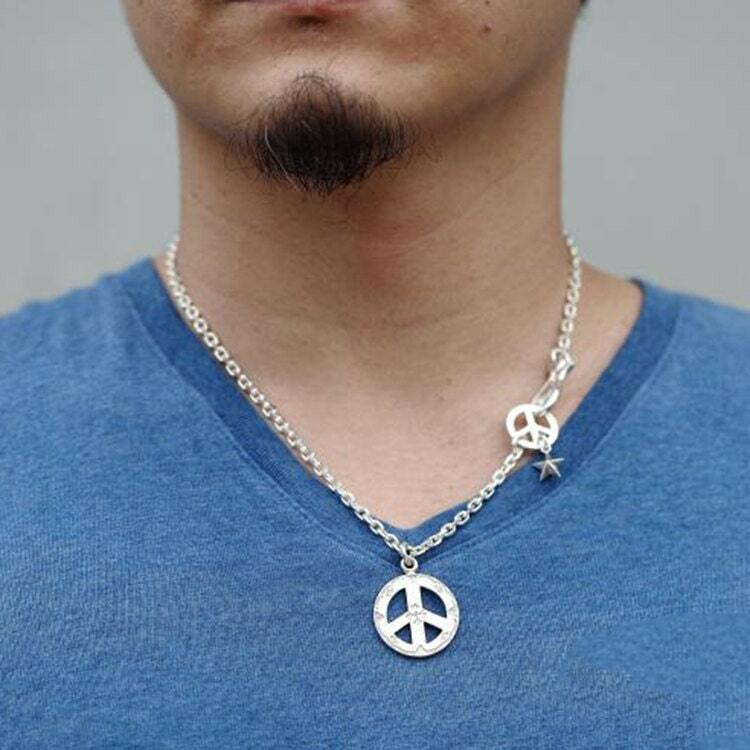 Just wear the pendant on a plain silver chain, or put it on a colorful beads necklace for a full hippie vibe. (For reference, a US quarter measures 24.26 mm/0.96 inches, in diameter, and is 1.75 mm/0.07 inch thick). Fang's silver jewelry is amazing. 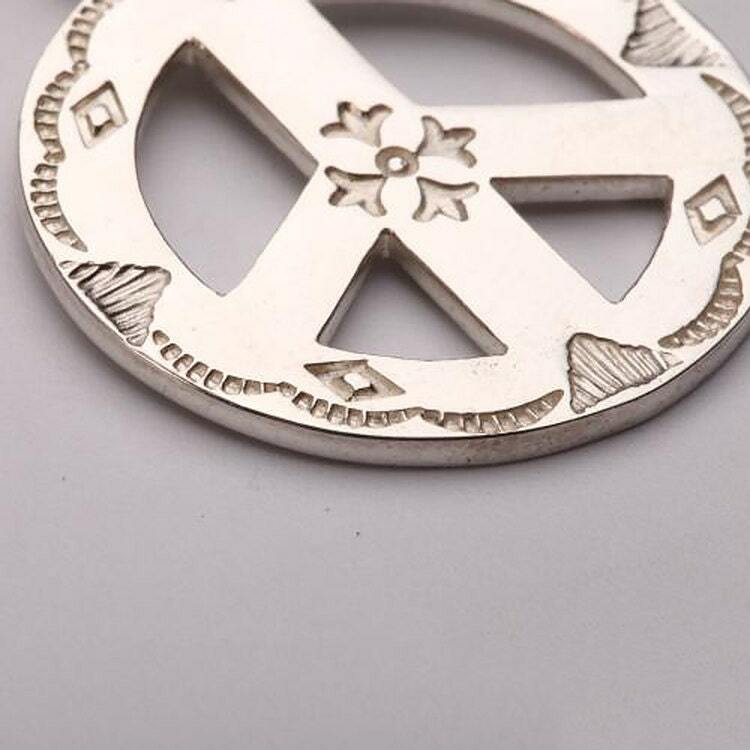 The Peace Sign, snowflake design, is detailed and perfect. Exactly what I wanted. I will order from Fang again. Thank you! Shipping was fast and well packaged.